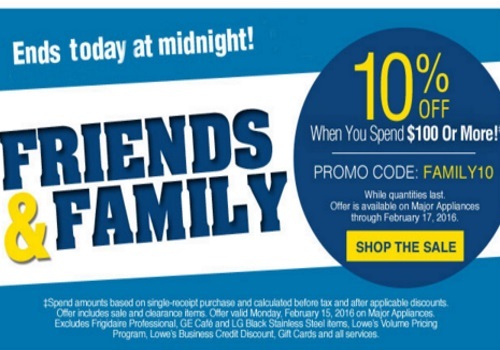 Lowe's Canada has a Friends & Family Event on now! Save 10% off when you spend $100 or more! Enter the promo code FAMILY10 at checkout. Offer is valid through February 15, 2016 online and in-store. While quantities last. Offer is available on major appliances. Click here to browse Lowes Canada.